Create a robust and stylish directory listing website, with custom settings for just about everything. All field names can be changed to fit the purpose of your website. Fields are by default named Country, Address, State, City, ZipCode, Phone, Email, Website and Other. Map included for each listing and uses the Address and Postal/Zip Code fields to calculate the location. Extremely versatile and easy to learn. You can customize this plugin to cater to a thousand uses. You are only limited by your imagination. Simply add a google Maps API key into the control panel and away you go. Fast and simple online directory plugin. * Most useful settings to start a directory, with little to no configuration. 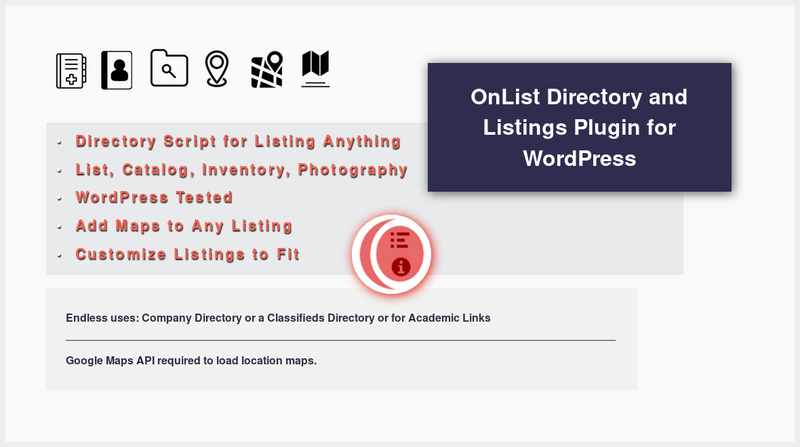 * Change listing field names to make OnList versatile. * Custom meta data for every listing. * Branding for your log in page. * Branding of User dashboard features. * Dashboard widgets to show user content. * Before and After Content widgets included. * Category Widget included for sidebars, plus category shortcode. * Supports comments which can be used for service requests or reviews. * Turn on or off comments. 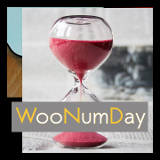 * Set number of days to display a listing. * Set featured listing to top of page. * Spam protection assets to safe guard email and phone numbers. * Certain fields can be hidden to paid or subscribed users only. * Page view counter shows on listing. * Rating system 1 to 5 auto-calculate. * Has auto detect features to keep from clashing with other plugins and themes. * USA States are included but can be excluded as categories. * Sub-Categories can be added. * Only two fields: Address and Postal/Zip Code is all that is needed to show map. * Set size of map box on page. * Plugin is responsive layout. * Uses seven shortcodes and Google Maps API key to display all settings on page. * Custom template functions help display listings on most any theme. Supports a Featured Image that shows in main page listings and on archive and single lists. Other images can be added in the standard editor so owner of listing has full control of images and can even create a gallery. Supports Comments and uses theme comment form. Set number of listings on a page. Set number of characters on excerpt. Set size of maps box. Also has a before and after content editor so you can make the OnList meld with your current theme. Category Widget can be added to any sidebar or page and this plugin supports navigation menu entries. Be sure to check the documentation so you can become familiar with how the plugin works. Custom theme, OnList-One is available for free.